Acadian Genealogy Homepage; Warren A. Perrin's 'Acadian Redemption' Book, from Beausoleil Broussard to the Queen's Royal Proclamation. Acadian Redemption, the first biography of an Acadian exile, defines the 18th century society of Acadian into which Joseph Beausoleil Broussard was born, in 1702. The book tells of his early life events and militant struggles with the British who had for years wanted to lay claim to the Acadians' rich land. Subsequent chapters discuss the epic odyssey during which Beausoleil led a group of one hundred ninety-three Acadians from Nova Scotia to Louisiana, the new Acadia, with the hope that his beloved Acadian culture would survive. The last half of the book discusses the repercussions of Beausoleil's life that resulted in the evolution of the Acadian culture into what is now called the "Cajun" culture and how it led to a eighth generation Beausoleil descendant, Warren A. Perrin, to bring a Petition seeking an apology from the British Crown in 1990. This Petition was successfully resolved on December 9, 2003 by the signing of the Queen's Royal Proclamation. * The author, Warren A. Perrin, is an attorney with the Lafayette law firm of Perrin, Landry, deLaunay, Dartex and Ouellet, an Adjunct Professor at the University of Louisiana in Lafayette, founder of the Acadian Museum of Erath and President of CODOFIL, the Council for the Development of French in Louisiana. * The book contains an instructive 500-year chronology of influencial historical events which helped to develop, shape and ultimately create the Cajun culture of Louisiana. * The book contains a copy of Queen Elizabeth ll's Royal Proclamation. 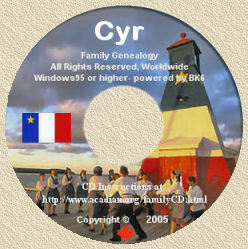 * All of the proceeds from the sale of the book will be donated to the Acadian Museum of Erath.